So, New York Fashion Week has come to an end for this year but don’t fret as London is around the corner and Guy Cammarano, the UK Creative Director of Regis Salon, has scoured the archives of this week’s catwalk shows to bring you his favourites. A side-parting complimented with a low ponytail looks great and it’s very easy to do at home. Gel will keep this look clean and sharp, and wrapping the hair at the ponytail area will create a uniqueness to this look. 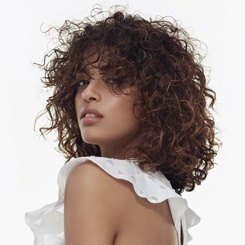 A loose and fun style to wear, simply twist the hair under and grip, then tie hair in more than one area before letting the hair pieces naturally fall out for this soft angelic look. See the catwalk video from the Badgley Mischka show here: Badgley Mischka Show. A very seventies, hippy-inspired look (pictured below). 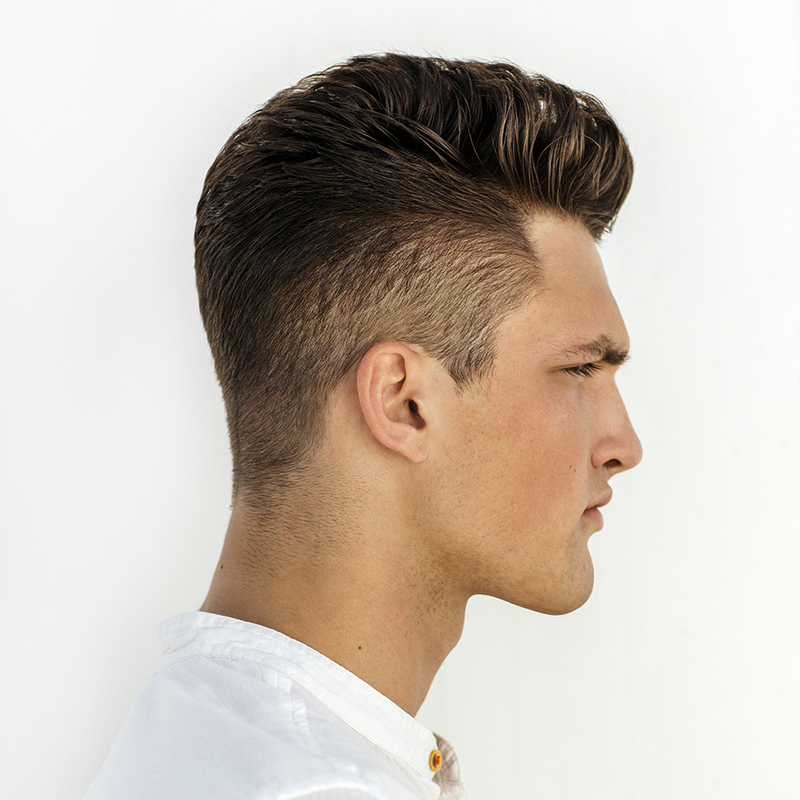 To achieve this style, crimp the hair at the ends to create texture and movement and brush flat. An Ombre colour tone will create the same look as in the photo. 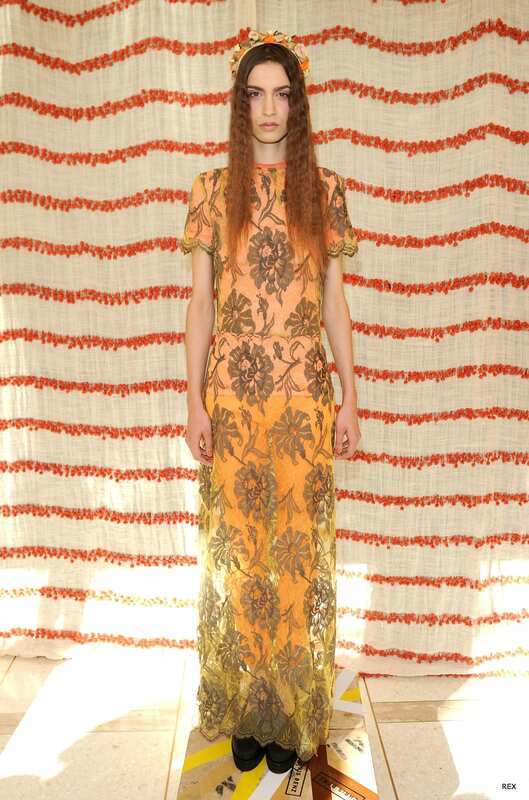 To see the Chris Benz catwalk highlights, click here: Chris Benz Show at New York Fashion Week. I love this look (pictured below)! 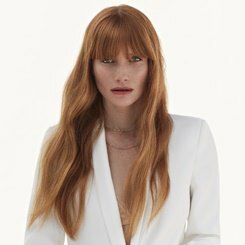 This fits in with our current 2012 image collection trends of strong fringes, and the contrast of the colour in the hair works to maximum effect here. This can be done on short or long hair and works great for everyone. Use a shine spray to keep this gloss effect running through the hair, and tying hair in a simple ponytail at back will work great. Czar by Cesar Galindo Show at New York Fashion Week. Here we see the hair being used in plaited fashion and wrapped around the head in a very loose manner. It’s important that it looks natural and not at all professional as we’d like this style to be emulated by people at home. Here’s the video highlights from the Emerson catwalk show: Emerson Show at New York Fashion Week. Again, we see plaiting the hair in a ponytail is popular at New York Fashion Week. Leave the top of the hair loose and start the plait in the lower part of the ponytail for maximum effect. This way you also see more length. Side note: hair extensions seem to have been added here to exaggerate this look, but it can work just as well without. Check out the catwalk video here: Erickson Beamon show at New York Fashion Week. Simplicity seems to be the in-thing right now and this Katya Leonovich look pulls it off brilliantly. Create a small bun on the highest point of the head and decorate with accessories to give a more unique look. Check out the catwalk video for Katya Leonovich here: Katya Leonovich Show at New York Fashion Week.